Did you make your New Year’s resolutions this year? Did you, like so many people, pledge to lose weight? If so, you may believe that running, aerobics class, spinning, or other similar cardio exercises will help you reach your goals. These exercises get your heart rate up, which burns more calories, right? We used to be positive about this—exert yourself and you’ll lose weight. But recent research has cast doubt on that theory. Could it be our bodies are more complicated than we thought? And if that’s true, what is the best way to lose weight? There’s no doubt that exercise of any kind is good for our health. Studies show that getting off our backsides reduces the risk of all kinds of diseases, including heart disease, type 2 diabetes, cancer, dementia, and osteoporosis, and also increases your chances of living longer. Yet many of us are simply not moving enough. Between work, the daily commute, and the exhausted slump into the couch at the end of the day, we’re sitting far more than we’re moving, which recent research has found can actually increase risk of mortality. We think that a daily go-at-it workout can redeem us from all the sitting. (We now know it doesn’t.) We’re sure it’s the way to shed pounds. But does steady, high-level cardio—such as running, spending time on the elliptical, or stair climbing for an hour every day—really result in weight loss? We may reward ourselves for exercise—with more food: You know how you feel after that hard workout. You deserve a pat on the back, and since you burned all those calories, your body won’t even notice that brownie, right? Turns out a lot of us think this way. In a 2009 study, for example, women who exercised at high intensity craved food afterwards, and not just any food—the high-fat, sweet kind that’s so detrimental to weight-loss efforts. Cardio may reduce the body’s ability to burn fat: Several studies have found that the body can do some strange things after a hard workout (where you’re training at 65 percent or more of your max heart rate). A 1993 study found exercising at a low intensity released more fat than exercising at a high intensity. A later study found similar results—high intensity exercise actually impaired the body’s ability to use fat. The body adapts quickly: Most likely, if you do regular cardio, you do a similar workout most of the time. Maybe you run or bike a few miles, or stair climb for 30 minutes. The problem is the body is extremely good at adapting. Within a short period of time, it gets used to what you’re doing, and burns fewer calories to do it. This is why a lot of people come up against a “wall” where they’re no longer losing, or may be even gaining weight. Exercise alone—no matter what kind—is unlikely to create weight loss: Scientists have been telling us this for a while. If all you do is exercise and you continue to eat the same amount of calories every day (or more, because exercise makes you feel hungry), you’re unlikely to see much weight loss. A 2010 study, for example, found that even after six months of an exercise program, participants lost less weight than researchers predicted (only about 2 pounds) and also increased their energy intake by about 100 calories a day. 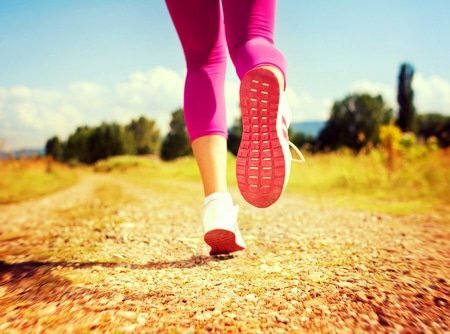 Cardio can affect your hormones—in a way that increases weight gain: Some studies have found that for women in particular, cardio exercise can affect hormone levels, tilting the body toward wanting to store more fat rather than get rid of it. One example is a study on 18 female runners. During spring training, their thyroid levels changed. As this hormone is responsible for fat regulation, such changes can make it harder for the body to shed pounds. Studies have also found that exercise decreases leptin levels. Leptin is the hormone that tells you you’re full or satisfied. When levels go down, you feel hungry—which explains why people often eat more after exercising. Cardio can result in muscle loss: Muscles help boost metabolism, which helps burn more calories. Too much cardio, however, can break down muscle mass. A 1985 study, for example, found that high-intensity endurance training resulted in a decrease in muscle fiber. So while we’re pounding away on the treadmill, we could be trimming away muscle that actually helps burn calories—resulting in reduced calorie burn. Cardio just doesn’t seem to work: We’ve got a lot of research showing this, now. A meta-analysis of 43 studies, for example, published in 2006, concluded that exercise alone resulted in only small weight loss (about 2 pounds). A 2009 study found that a 12-week aerobic exercise program resulted in only modest weight loss—less than six pounds for half the participants, and less than four for the other half. Add to these points that cardio can increase stress on your joints and cause your body to release cortisol (the stress hormone which has been linked with belly fat), and you start to realize that maybe all that running/spinning/cycling/stair-climbing isn’t worth it. If that’s the case, though, how can we effectively reach our weight loss goals? We don’t have all the answers yet, but the following five tips may help you more effectively shed some pounds. Build up your muscles: We all lose muscle as we age. Women lose even more than men after they pass menopause. Since muscles are responsible for keeping the metabolism running at a good clip, it's important to work some strength training into your weekly schedule If you really want to lose weight. It doesn’t have to be with weights, either—you can use bands, or body-resistance exercises like pull-ups, push-ups, squats, and the like. Train with intervals: The fitness world is alive with talk of intervals. We’ve discovered that if we alternate moderate with high levels of exercise, we can burn more fat than if we just work steadily at a high level. Walk for a couple minutes, then sprint for one, then repeat. You can find a lot of tips for interval training online. Manage your diet: We noted above how exercise alone doesn’t do much for your waistline—but combine it with a healthy diet, and you’re more likely to get somewhere. Your best bet is not to deprive yourself, but to switch it up. Replace your brownies with fruit and your dinner steak with a salad or soup. Ditch the soft drink and try sparkling water instead. Focus specifically on reducing carbohydrates (sugar, soft drinks, starches), and eat more protein, healthy fats and fruits and vegetables. Do more low-to-moderate exercise: Sitting for any extended length of time is bad for you—even if you work out hard for an hour every day. The key is to get up and move more often. Fit in more low-intensity exercise like a walk at lunch or a bike ride to work. Stand up to talk on the phone or to perform some stretches at least once every hour. Make sure you get in 30 minutes of a regular workout as well, but keep it relaxed. A 2012 study, for example, found that participants who exercised at a moderate level for 30 minutes a day lost an average of 7 pounds at the end of 13 weeks—83 percent more than researchers expected they would, based on how many calories they burned (about 300 per exercise period). Bonus: While participants who exercised 60 minutes at high intensity became less active throughout the rest of the day (probably because they were tired), those who exercised 30 minutes at moderate levels became more active throughout the day. Mix it up: Remember that your body adapts to whatever exercise you do, so try to mix it up. Walk one day, bike the next, and then try some jump rope or rebounding. Maybe take a yoga class or even try rock climbing! Try to have several options at your fingertips so you can choose whatever you feel like that day. Manage your stress: Stress causes your body to release cortisol, which adds to belly fat. Work some stress relief into your weekly routine. Try listening to music, taking a walk in the park, doing some yoga or tai chi, getting a massage, or just setting aside some time to relax and read or work on a favorite project. Get a friend involved: Studies show that we lose more weight when we do it with a friend or in a community of like-minded individuals. You can get your neighbor to go walking with you, join a work-based fitness program, or even compete against others with online fitness programs. The goal is to get others involved who will help keep you accountable. Have you come up against a wall in your weight-loss efforts? Do you think too much cardio could be the reason why? G. Finlayson, et al., “Acute compensatory eating following exercise is associated with implicit hedonic wanting for food,” Physiology & Behavior, April 20, 2009; 97(1):62-67, http://www.sciencedirect.com/science/article/pii/S0031938409000456. Hohtari H., et al., “Serum concentrations of thyrotropin, thyroxine, triiodothyronine and thyroxine binding globulin in female endurance runners and joggers,” Acta Endocrinol., January 1987; 114(1):41-6, http://www.ncbi.nlm.nih.gov/pubmed/3101339. James E. Turner, et al., “Nonprescribed physical activity energy expenditure is maintained with structured exercise and implicates a compensatory increase in energy intake,” Am J Clin Nutr, September 8, 2010; doi: 10.3945/ajcn.2010.29471, http://ajcn.nutrition.org/content/early/2010/09/29/ajcn.2010.29471.full.pdf+html. Romijn JA, et al., “Regulation of endogenous fat and carbohydrate metabolism in relation to exercise intensity and duration,” Am J Physiol., September 1993; 265(3 Pt 1):E380-91, http://www.ncbi.nlm.nih.gov/pubmed/8214047. Romijn JA, et al., “Relationship between fatty acid delivery and fatty acid oxidation during strenuous exercise,” J Appl Physiol, December 1995; 79(6): 1939-45, http://www.ncbi.nlm.nih.gov/pubmed/8847257. Martin WH 3rd, et al., “Effect of endurance training on plasma free fatty acid turnover and oxidation during exercise,” Am J Physiol., November 1993; 265(5 Pt 1):E708-14, http://www.ncbi.nlm.nih.gov/pubmed/8238496. Sidossis LS, et al., “Regulation of plasma fatty acid oxidation during low- and high-intensity exercise,” Am J Physiol., June 1997; 272(6 Pt 1):E1065-70, http://www.ncbi.nlm.nih.gov/pubmed/9227453. Kraemer WJ, et al., “Compatibility of high-intensity strength and endurance training on hormonal and skeletal muscle adaptations,” J Appl Physiol., March 1995; 78(3):976-89, http://www.ncbi.nlm.nih.gov/pubmed/7775344. Kelly A. Shaw, et al., “Exercise for overweight or obesity (Review),” Cochrane Database of Systematic Reviews, (4), Art No. CD003817, http://epublications.bond.edu.au/cgi/viewcontent.cgi?article=1049&context=hsm_pubs. Neil King, et al., “Beneficial effects of exercise: shifting the focus from body weight to other markers of health,” Br J Sports Med., September 29, 2009; doi: 10.1136/bjsm.2009.065557, http://bjsm.bmj.com/content/early/2009/09/29/bjsm.2009.065557.abstract. Edward L. Melanson, et al., “When energy balance is maintained, exercise does not induce negative fat balance in lean sedentary, obese sedentary, or lean endurance-trained individuals,” Journal of Applied Physiology, December 1, 2009; 107(6):1847-1856, http://jap.physiology.org/content/107/6/1847. Rosenkilde M., et al., “Body fat loss and compensatory mechanisms in response to different doses of aerobic exercise—a randomized controlled trial in overweight sedentary males,” Am J Physiol Regul Integr Comp Physiol., September 15, 2012; 303(6):R571-9, http://www.ncbi.nlm.nih.gov/pubmed/22855277. Hooray! Now I don’t feel so guilty. I know we need to get up and move, but we don’t have to over do it! And the fact that eating a well balanced diet plays a more important role in helping with weight loss; but sometimes that isn’t always easy to do either, I am glad I have Juice Plus to help me bridge my nutritional gaps. Recently I lost 80lbs after years of struggling to know how my body reacts to various weight loss methods. What I’ve found is exercise doesn’t matter. I’ve also found eating before bed doesn’t matter. Interestingly, what seems to work best for me is to eat ONE meal per day. Right before bed. I’m interested to know what the author of this article thinks of this.